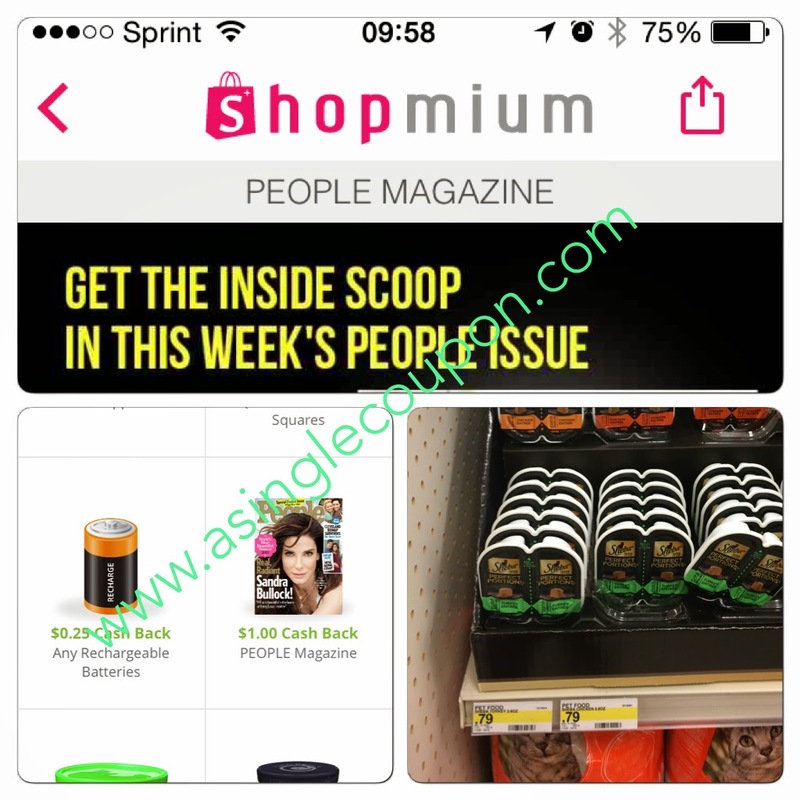 Target: FREE Magazine or cheap cat food! 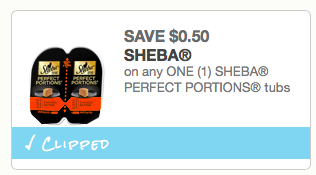 At Target the Sheba Perfect portions are priced at $0.79 each and People Magazine is $3.99! 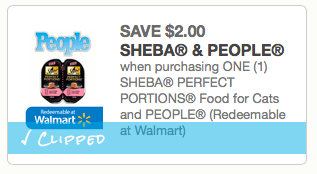 With the above coupon get both for $0.79! Final Cost: $0.78 for both items! If you don't want the magazine or the free Lindt chocolate (for signing up with Shopmium) then you can print the above coupon for a great deal! Or print and save for an upcoming sale!